"The Door Is Open, Come On In..."
Submitted by dougj on Sat, 2005-09-03 13:49. Welcome to the opening day of our little homestead. No need to wipe your feet: we're laid back here, and don't fret much about a little mud on the carpet. In fact, it gives the place that lived-in feeling, where people feel free to drop on by, grab a cup of tea, and join a lively discussion or two. No fancy-schmansy plastic coverings for couches here. I'm your host, Douglas Johnston, whom you may or may not know from a million monkeys typing down the road, as well as the printable template system called the D*I*Y Planner. (That isn't me at left, by the way.) Other than that, I'm just a guy trying to be useful and spread around a little good karma. Submitted by innowen on Thu, 2005-09-01 06:38. The feel of leather under your finger tips. The sound of the spine creaking, the binder snapping open and shut, the paper smooth and cool under your fingers. Sounds like you've purchased a new journal, sketchbook or planner. It doesn't matter what the flavor is, we've all been there, in the store... thinking, I should write more, draw more, get more organized. And that's when the store conjures up the book, that perfect tool. Driving home, bits of images, creativity fills your head on all the things you'll do with the book. The appointments, the perfect sketches, stories. And then, the book sits in the dark corners of your office. Submitted by sachac on Tue, 2005-08-30 12:00.
Who doesn't want better health? I'd love to be healthier, but it's easy to lose track of that goal after weeks of hitting the Snooze button and heading over to the local pizza joint for a slice of pepperoni and cheese. I'll eat better tomorrow, I keep promising myself. Well, with the D*I*Y Planner, I can't fool myself any longer. If you want to improve something, you need to measure it. If you want better health, you need to keep track of what you're doing and what you're eating. The Matrix form (available for Hipster, Classic and A5) gives you a way to keep track of meals and exercise over 31 days, with an extra column for other things you want to note: how much water you drank, how early you woke up, how many calories you consumed (or burned), how happy you were with the day... Anything goes! Submitted by ChrisMDP on Tue, 2005-08-30 08:25. SVG Planner is set of printable planner index cards in SVG format. This allows your to roll out your own PNGs depending on the resolution of your printer, and tweak the layout as much as you like, for whichever paper size works for you. Print out the supplied PNGs to index cards, or tweak the SVG and printout planner cards for whichever dimensions you require. Submitted by dougj on Mon, 2005-08-29 18:22. About two months ago, I was sitting in a Tim Horton's (as many Canadians are wont to do), sipping on an extra-large double-double and pouring through my Day Runner. I was processing my Inbox, correlating my notes, jotting down ideas for this site, making little sketches for layout, and generally chilling out to the rhythm of the air conditioner above my head mingled with some half-remembered tune. Three tables away, a 20-something was tapping away at his Sony Vaio, and every now and then, he would stop and stare ruefully at the laptop's screen, as if he were pondering where next to nudge the direction of world affairs. During one of these pauses, he stopped and looked in my direction. 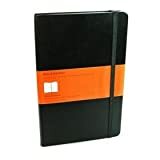 The sight of my old-fashioned planner seemed to evoke something akin to haughtiness in his cocked eyebrow, and he resumed his imperial air whilst he turned yet again to the grave matter before him. Submitted by sachac on Fri, 2005-08-26 00:38. Simple letter-sized form for keeping track of weekly goals, daily goals, schedule (9 AM to 10 PM, half-hour increments, Mon - Sun), tasks and notes in a 3-ring binder. Circle the month and write the year in the space at the top of the form. Fill in the day numbers by referring to a calendar or to the previous pages. Write a weekly objective for self-improvement or another of your major goals. Write tasks in the bottom left corner. Write daily goals related to your weekly objective and your tasks. Aim to do at least one productive thing a day. Block time off for your tasks. As you block them in, check the task. When you finish a task, cross out the entry. If you goofed off instead of working according to your schedule, reschedule the task and rewrite your schedule to match your actual activity. When you need to write something down, add it to the bottom-right area. This is great for contact information, maps, and notes. Review your finished work and objectives at the end of each day and the week. It only goes from 9 AM to 10 PM because I wake up at 8 and spend an hour getting out of bed. I'll probably adjust it when I figure out how to wake up earlier, but then again, the extra time is good for unscheduled tasks because I feel a lot better when I finish something even though my schedule is blank. This kind of template is easy to make in any spreadsheet program. Give it a try!